After a citizen effort in Holyoke, Massachusetts, community leaders will let voters decide this fall on the question of analyzing Fiber-to-the-Home (FTTH) possibilities. There was one Councilor absent and one nonparticipating member of the Council; the measure passed 7 - 4. The decision to bring the question to voters came after the city’s Charter and Rules Committee reviewed a citizens’ petition in mid-March. A group of citizen gathered signatures for the petition to ask Holyoke Gas & Electric (HG&E) to conduct a feasibility for an incremental deployment for residential premises in Holyoke. HG&E currently offers fiber connectivity to commercial subscribers. “These residents would love to purchase those services as well,” Clampitt said. “We would like to encourage HG&E to explore that option and present those findings in a public manner." Other residents spoke in support of moving the proposal forward and HG&E’s General Manager, James H. Lavelle also commented. He noted that the network is “entirely self-supporting” at this time and that he estimates a residential build out would cost approximately $30 million. He said the utility completed a five-year capital investment in upgrading hydroelectric generating plants and substation infrastructure, which totaled $75 million. “The petitioners are trying to help you to get a better or more holistic read of public support and sentiment the fiber network,” [At-large Councilor] Lisi told Lavelle. Once the issue passed through the committee to the full council, city leaders were tentative about the language and asked legal staff to review it. After the Law Department reviewed the language and recommended changes, the Holyoke City Council took up the issue again at their April 2nd meeting. There was another motion to table the question again, but that motion failed and the full council voted to put the issue on the November ballot. Back in 2013, Christopher interviewed HG&E’s Senior Network Engineer, Tim Haas, who talked about the utility’s philosophy of helping out neighboring communities who needed better options. You can hear that discussion in episode 65 of the Community Broadband Bits podcast. HG&E deployed their network with an incremental approach, which has helped them on the road to a self-sustaining system. This slow and deliberate expansion technique, along with the willingness to work with nearby towns seeking better connectivity, have lead to steady growth. A 2015 report from Harvard’s Berkman Klein Center tells their story. We also were able to talk with one of the report’s authors, David Talbot for episode 162 of the podcast. 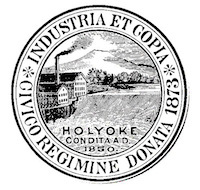 For about three and a half years, the Holyoke Fiber Optic group has worked to educate the community’s 40,000 residents and drum up support for a possible municipal FTTH deployment. Comcast serves homes in the community, but residents who want faster, more reliable connections feel frustrated that that don’t have access to the same level of service as local businesses from their municipal electric utility. In the past, officials from the utility have mentioned that they’ve looked into FTTH and asked for residents' opinions, but the utility has never engaged in a citywide survey. Members of Holyoke Fiber Optic group hope that a ballot measure will put to rest any uncertainty about the community’s desire for residential municipal FTTH service.